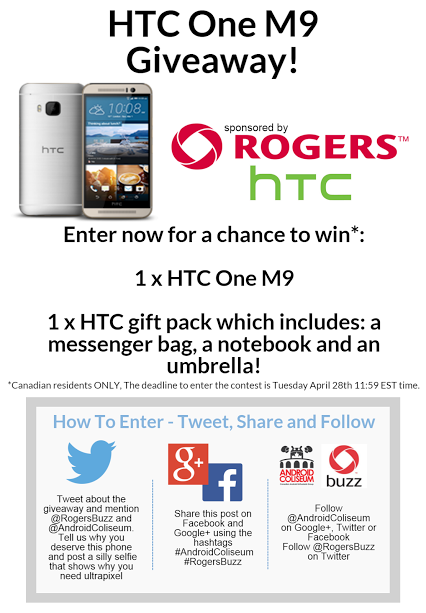 The winner of the HTC One M9 is Shaun Rioux! The second prize winner is James! We will contact you shortly to get your information!